In a follow up to my previous blog Final Thoughts Before Your First Marathon, I thought I’d blog about some of the first things to consider once you have finished the race. First and foremost, congratulations on be come part of the less than 1% of the world’s population. You are officially a MARATHONER!!! Months of training and sacrifice lead up to a handful of hours of running, a shiny new medal and a lot of thoughts, emotions and possibly some blisters and soreness. Don’t fret, everything you are feeling is totally normal. Here are a few things to consider within these next couple of days post marathon. You run those last .2 miles and cross that finish line. You’re handing your medal, embrace your friends and family and now feel on top of the world. That high can last for several hours to days. But one thing is certain in life, what goes up, must come down. You just spent the last several months of your life preparing for one event. A huge, life changing event at that. But now you’re left feeling somewhat empty and even saddened. What’s next? It happens to the best of us and the best thing to do is just enjoy the time off to just enjoy running for the pure joy of running. Not having to worry about long runs, speed work, cross training, etc., and just getting to go jog is such a liberating and fun feeling. It will allow you to reconnect with the joy of running after months of it feeling like a job. Also, take this time to start consider what your next big event will be. Having a future goal in mind will help keep you going with all that progress you made during training for this one. 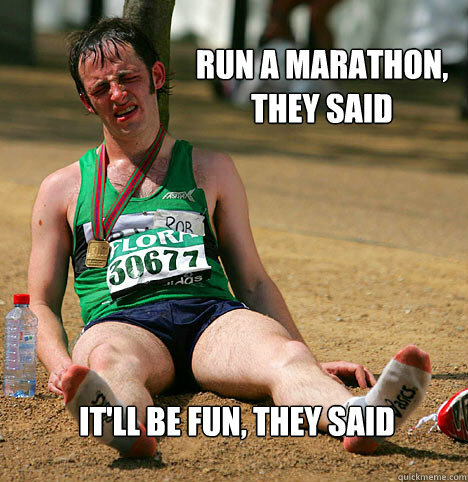 I don’t know about you, but after a marathon, I want to eat EVERYTHING! You just burned lord know how many calories out on the road. You will certainly need more food post race than any regular day. Your body and soul need to indulge, so let go and live a little, after all you earned it! But also keep in mind how important it is not just to eat because you’re hungry and deserving of lots of food, but also recognize you eat to refuel. Be sure to focus on eating healthy fats, proteins and of course carbohydrates. Once you have replenished those calories burned, you don’t necessarily need much more than that, so indulge, but do so wisely. One of the most common things I struggle with post marathon, and I hear from so many other runners are the “if I had only done this or that, then I would have done better.” Yes, each race is definitely a learning experience and can help better prepare you for the next race. But what’s done is done and you should leave it all out on the course. You gave it your all and you finished! This is the first time you have done something this physically, and possibly emotionally, demanding. Takes some to to appreciate that, and not take away from what you did with any regrets you may have about it. You only cross the finish line of your first marathon once, and it is an experience like no other! There will be other races, you will have other chances to do better. So cherish every moment of the HUGE accomplishment you just made! The first time you try and run after your first marathon can be a VERY humbling experience. Your legs may feel like lead, your feet can be blistered and your whole body will be sore. Your wobbly legs, achy hips and tired feet may have you feeling like you may never run again, but trust me, you will! My advice, take it slow, have no expectations and just listen to your body. The first couple of attempts at running post marathon may involve more walking than running, and that is perfectly OK. As mentioned in my previous post, be sure to take time for some mobility and stretching exercises too. Loosen up those muscles and then get moving again. Your body and mind will thank you for it! Don’t judge all marathons off of the first experience. The weather could have been terrible, the training may have been wrong for you or the nerves could have just gotten the best of you. So if it wasn’t the absolute best experience of your life, think about giving it another shot with with some adjustments to have a better experience the next time. Never say never! 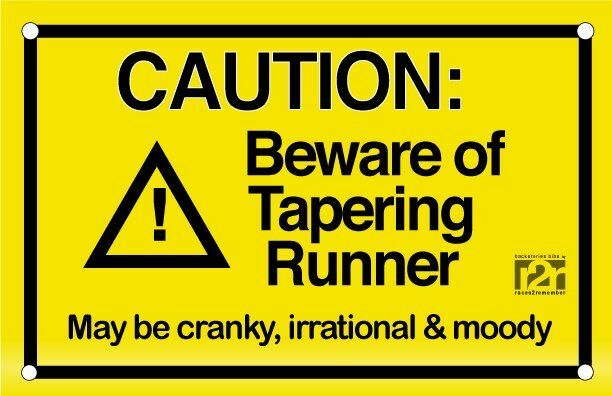 Don’t jump right back into training for another distance event. Give your body and mind some time to relax and enjoy what you just accomplished. If you’ve caught the marathon bug, that is awesome, but give yourself a couple of months before you start training for your next one. Going at it too quickly without proper recovery may put you in a position for over training, which could lead to injury or illness. Do set some goals if you plan to do another one. Now you have a good idea what a race of 26.2 miles feels like. You know what pace you had, what your finish time was and how all that felt. It’s not out of the question to do better at your next one, so think about what a PR would look like for you and work towards making that happen. Do show proud and shout from the roof tops what you just did! A marathon is a HUUUUUGE accomplishment and certainly something to be proud of. Don’t think for a second you are “annoying” your friends and family with all your post race chatter. They should be so incredibly proud of you as you should be insanely proud of yourself. Bring your medal to work. Post your race photos on social media. Share your stories of the race with your loved ones. It’s an incredibly feeling and you shouldn’t have to hide. Take pride, you’re a MARATHONER! I just want to once again congratulate you all on accomplishing such a huge goal. Not just running the actual race, but for all the months of hard work and dedication that lead up to it. It takes so much physically and mentally to take on the beast otherwise known as the marathon and you did it!